As some of you might know, there are new Wacom products since very recently: Mainly, the new "cintiq pro" in the new sizes (cleverly adding 16 inches) as well as -probably same tablet technology, Studio pro also in 13 and 16 inches. All these seem to share a very much improved pen technology, probably improvements in the tablet, too. That said, it'd be more than logical that they'd apply soon all that accuracy at least to Intuos Pro models. I'm progressively realizing more that the cintiq or cintiq alternatives are not so much for me, not only for the purchase price and the cost of replacing if you break it (which worries me way more than initial prices, specially if get too used to cintiq style), also because of my long habit drawing in intuos, and almost very certain that drawing over a cintiq would be way worse for my back and my eyesight (specially as, opposite to Cintiq, the alternatives are ALL *very* glossy screens, not only bad for the eyes, also leads to inaccuracy when painting and checking colors. I fail to understand why even a cheap -ain't cheap, is 600 bucks, yeah , way cheaper than cintiq, but still quite some money.- product for art making is having a glossy screen (and to be honest, we should mention this stupidity for art tools is also present in the iPad PROs (which is quite a sad fact for me, as I love that ipad.) , or the new MS Studio, which also comes with the jitter problem ! A pity, as is a sort of mid-high end monitor.). As indeed, not so much about money with the cintiq alternatives, and intuos Large is not specially cheap, is just that in the end seems better for some of us, despite being less accurate and fast than a tablet-monitor. So, am quite interested in knowing if the medium and large models are soon to be released, using these new technology improvements. Personally, after 20+ experience with Wacom (my first tablet was an ArtPad II) I can say to you that even if far from perfect (especially speaking of drivers) I cannot complain about its products. Tablets lost some of the "sturdy" pro feeling of the Intuos 3 series maybe, but are still top-notch. Huion makes remarkable products, especially tablets, but still doesn't feature tilt. "Cintiq's lag and tracking" is something perfectly passable. These guys have to use these things for more than 8 hours per day sometimes... They all use Cintiqs and still feel comfortable with. So it seems to fear more casual users than professional illustrators. Still personally speaking (I'm far from a tech-guy), I think that only iPad Pro layer can deal with Wacom today. About new Cintiq tech, they will revamp the whole line, including a new 30"/4k LCD and tablets, with the brand new 8k levels pen. My source is a wacom representative. This was my suspicion, as makes sense: If they have made a better pen, sure at least all the pro products -and surely the basic intuos line, too- will end up having them. I have had a Cintiq in the past (WX times) , and there is indeed lag, just is a better situation in general than having an intuos pro, in terms of accuracy and how productive you get. I sold it as was a 12 inches size, I by then realized that size and resolution was definitely not for me (to be fair, also the 1 inch of inaccuracy in th eborders is way more noticeable in the old 12 wx model. Already then a friend -another pro- had a 21wx, and it was less of a problem in that case. ). Thing is, I realized drawing over a screen is not for everyone. I am professional, meaning, besides I've drawn since...always, and have some winters in me, and actually am a full time freelancer since 2013, drawing more than 8 hours every day (with the intuos 4 XL) . Having the experience in eyesight and back of the Cintiq for 8 months in the past (and by then was half time employee as front end developer, and half day freelancer illustrator) I realized it could be more damaging. But I believe this depends on the case. One thing I'm sure, is that for those of us not dealing well with that way of drawing, a glossy screen like the one recently built in MS Studio, or all (lol, not a single one with matte, I believe is as all really built over a UC Logic screen) of the cintiq alternatives (one what does is gives you a pre mounted anti glare film that does not really remove much of the reflections) is indeed worse. There's a study done by can't remember what university, stating that a glossy screen can put a lot more back pains in illustrators, as, non consciously forces you to work in only an specific position. Same which does using a TN screen instead of an IPS (this is a general matter, indeed) , how they were the first Huions. An illustrator on youtube explains in very much depth how to set up an antiglare film from photodon, and while it improves the situation, it does not seem to fully solve that. Instead, I've worked quite with the Cintiq, and I know how it deals with glare is the way to go, for me. Well, I don't know big names in the industry. But when I was a graphic artist for games, I worked tons of hours with wacom devices, (not with the cintiq) , so I have quite an accurate idea of it. While a 2D/3D artist (but contracted mostly for my drawing skills) does also a lot of other stuff (ie, 3D modeling, unwrapping and UI/texturing work) I'd say those 10 to 12 hours every day were actually drawing with small wacoms in an 80%. My tiring after such long days were... just the usual you get when working long with computers, but nothing else added. IMHO, the iPad is superior to every thing else in terms of control, accuracy, parallax, tracking, tilt (a tilt I can finally find useful, as I don't use tilt with any of my wacom products), and lag. I mean, I've seen it very closely. It's clear to me. Still, there's no point to me in purchasing it. 12,9 inches, and no real OS, you can't install professional software in it (even while Procreate is great). No real file system... Having a glossy screen is sth Apple enjoys doing, while even mac pros have been long requiring matte option or even default for a while, in many of their monitors. But with an anti glare film, and certain room lighting, this could be somehow dealt. The other issues are bigger. But for me, it's right now the best technology, unless this new wacom pen technology beats it. Surface...IMO is out of the league. I mean, is an outstanding good and practical machine for someone doing a little drawing and notes. Not for a professional illustrator... Sure you could work it out, use quite some stabilization for the jitter (MS Studio has it, too) and live with the 12 inches size and non sharpness of menus (too large resolution for such tiny screen) , but imo, not a tool for illustrators. 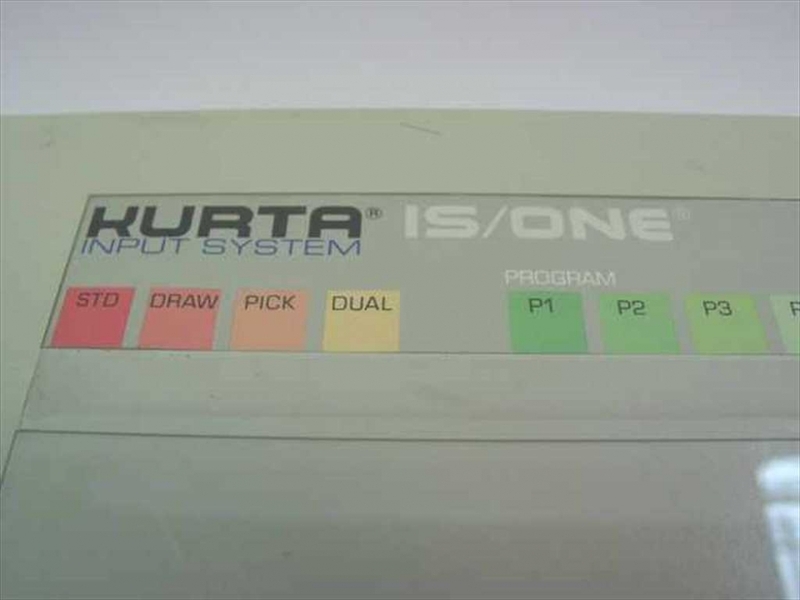 My first tablet was a Kurta (by the time there was no wacom, only dinosaurs were populating earth. Only a Summagraphics (cad focused), was the other option), back from 1991. 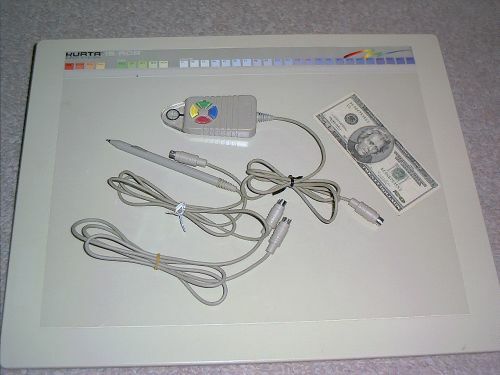 I don't keep that one, but I still keep(stored, but still functional) what was my work horse in companies for a long time, specially in 2001 year, the Intuos 1. (the very first version, in glorious 9 x 12 inches, "A4"). The Kurta was quite big also, indeed. And...none of these were cheap, certainly. Summagraphics was very well known. About tilt, I think wacom's one is fine. Almost all iPad Pro applications give you a sort of "default" tilting implementation, so the perception is an overall better ux of the product itself. Only Procreate wants to give you some few more parameters. The real problem with tilt has to be found in dab-based engines. Tilting a real tool implies complex geometric transformations of the shape generated by its intersection with your "canvas" together with other physical attributes (ink viscosity, pressure ramp etc..). Both bristle brushes and dry media change their shape, and this is the very first user expectation. But where dry media pressure distribution tend to deliver a shaded effect, oils or gouaches behave totally different. When your approximation is a 2d nib/nozzle things become pretty complex, and most users tend to avoid customisation for this reason. Everything ends with an underuse of the product itself. The only way to represent tilt properly is via unbiased (ArtRage, Rebelle) or hybrid engines (Painter), but these are very demanding in terms of resources. Adobe decided to follow this path too, embedding the MoXi engine (the 3D brushes...) and left a default projection for classic ones. So far the best choice to make people use it. Affinity offers a very sharp way to control tilt, but still lacks of distortion parameters for intensity brushes. This has got great reviews. Watch Leifm's (above) review and his video on connectivity....these tablets only connect vis a Displayport or USB-C connection. 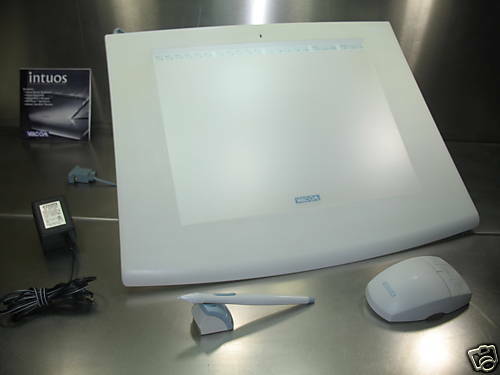 There is in-depth reviews on the 13' and 16' Wacom MobileStudio Pro which essentially uses the same screen surface as the Cintiq Pro range. Virtually no parallaxing! Really? Here it was distributed (Spain). It was the very first one sold as a tablet for art making in my country at least, in my knowledge. Summagraphics was nice, but I saw several advantages for an illustrator in Kurta. Of course, accuracy and a ton other factors were so primitive compared to what is available now. iPad Pro, IMO, has the potential to blow away any competition, for its quality in an artist hands. I very firmly believe that. But it wont happen, sadly. I do not see Apple making a 16 inches version, at all. Even while it'd hit in the floating line of Wacom's new 16 inches products, as IMO, is still in advantage, in how it performs. Great move from Wacom to add a 16 inches version, it has certainly grabbed my attention. Yep, am very intrigued on the whole new line of products. Probably more interested in the cintiq 16 than in any other product. Checking more vids and tests, seems it has a very much criticized effect in a Huion ( I believe) product, that if press quite hard, an area around the pen gets like darkened as you press ove r the plastic. But... As it allows really soft sensitivity -8192 levels, I believe, and mostly, users report it to be very sensitive- you can just press really slightly, which also will make a longer life for the device. It is no glossy, so, no issues in that department, while you have horrid gloss in every cintiq alternative. Overall , the 16 model seems quite a great deal. There's sth anyway, besides the out of bonds price, that worries me a lot, and would make me think only in the cintiq line (was my idea, already, as I dislike to be kept forced to only certain cpu power, card and ram.) : The disk. Is SSD only, no secondary drive. Once you get 2 petabytes it can start to have critic failures and stop working (in an extremely lucky scenario, it can stop working way way before) written, and I as an illustrator for print, write bazillions of gigabytes per month, am worried about it. Plus, from global public statistics, I dunno, might have heard equal results, but from friends, other people, seems SSDs can fail more. I know there's kind of a heated passion from SSD (I could even say fans) , but am not there, definitely. I'll stick to HD until a better fast disk technology shows up. (maybe intel's Optane, but that has a really long term period to go for providing big disks at reasonable price, yet. And not sure if they will be used as storage, or just for fast caching) . Anyhow, I don't really trust a machine having only ssd, and does not look like you could add to it , or replace with a different storage solution. Perhaps replacing the SSD could be possible in its day, I dunno. Mobile Studio 16. IMO, iPad Pro has better performance, a bit less laggy. Not really convincing as a test imho, the peripheral lag is together mixed with some well known PS issues. iPad Pro is fantastic, but its applications are pretty minimalistic compared to Affinity/Photoshop/CSP/Painter. Using it paired with AstroPad or Duets delivers a worse performance than an old Cintiq. Basically today these are not comparable solutions. 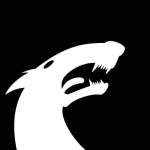 I have seen outstanding work and very complete workflows explained using Procreate. IMO, it is indeed a solid competitor, now (ipad pro + Procreate + Sketchbook + etc ) if you are of the kind that like to adapt / change your workflow. I used for years ( over 10) wacom tablet and also the Wacom Cintiq 12. - wireless ( using astropad app) with decent performances. - minimum space ( almost null) between the pen tip and the sign on the screen. these three reasons, in the real world, make the difference in my job. "decent" is enough for painting, vector illustrations and photo editing in WiFi. With the cable connected the tablet works fine.